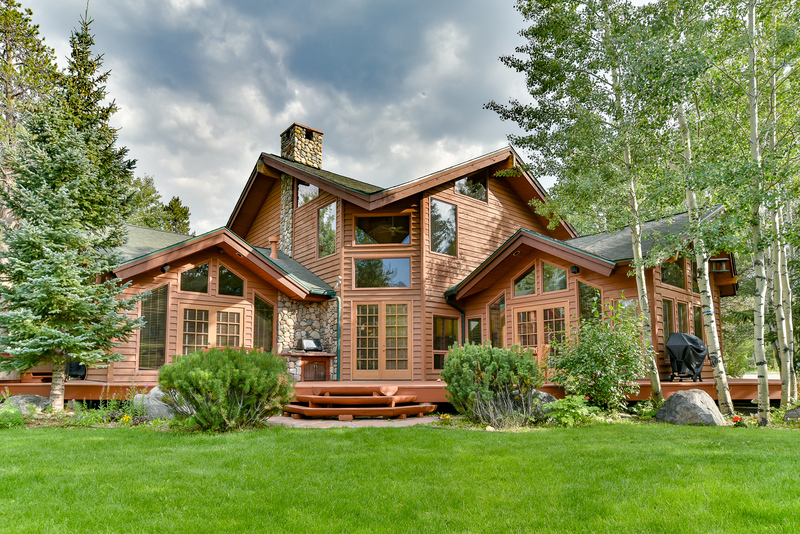 This gorgeous 4-bedroom, 4.5-bathroom premium log home is one of Frisco’s premier private residences and a perfect escape for large parties or extended families of up to 12 people. 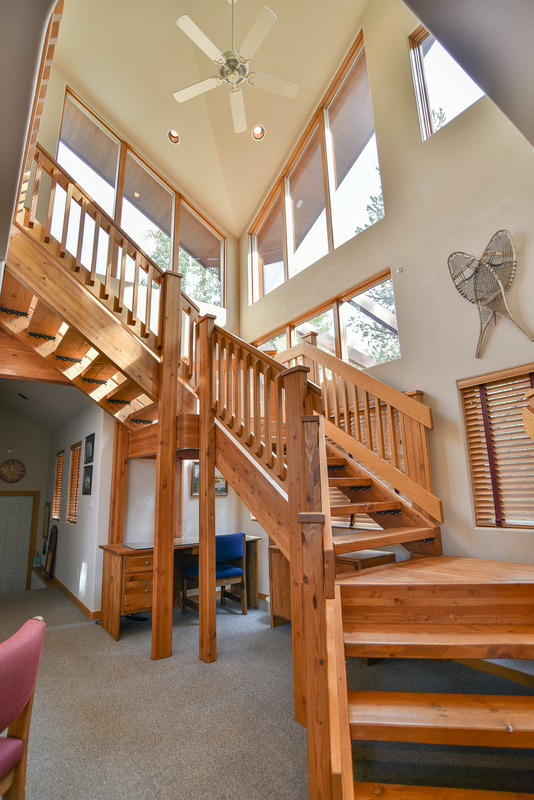 With excellent river frontage on the crystal clear Ten Mile Creek, immediate access to the Frisco River Trail, and a short stroll to the “Main Street of the Rockies,” you’ll enjoy easy access the best of Frisco. 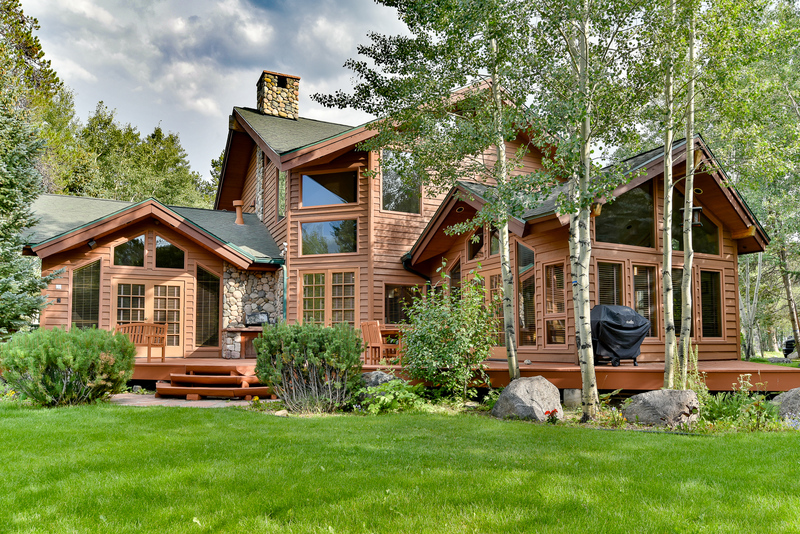 You’re also a short drive from every ski resort in Summit County. And you’ll love the private hot tub and massive deck overlooking the well-manicured grass yard and tumbling Ten Mile Creek. 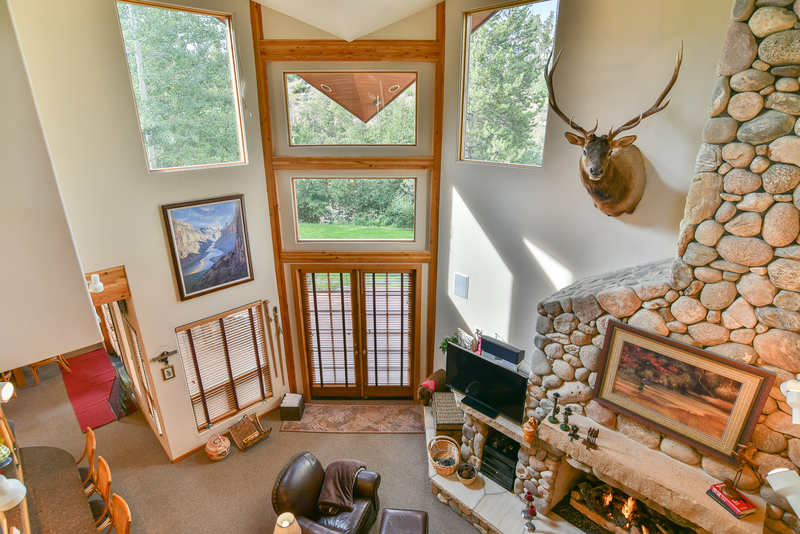 The living area is spacious and breathtaking with its uniquely angled soaring ceilings, huge floor-to-ceiling windows, and massive river rock fireplace. The comfortable furniture is centered around the fireplace and large LCD TV, perfect for watching your favorite TV shows, movies, or sports team. There’s even a shuffle board table just off the living area to keep the kids (and adults) entertained. 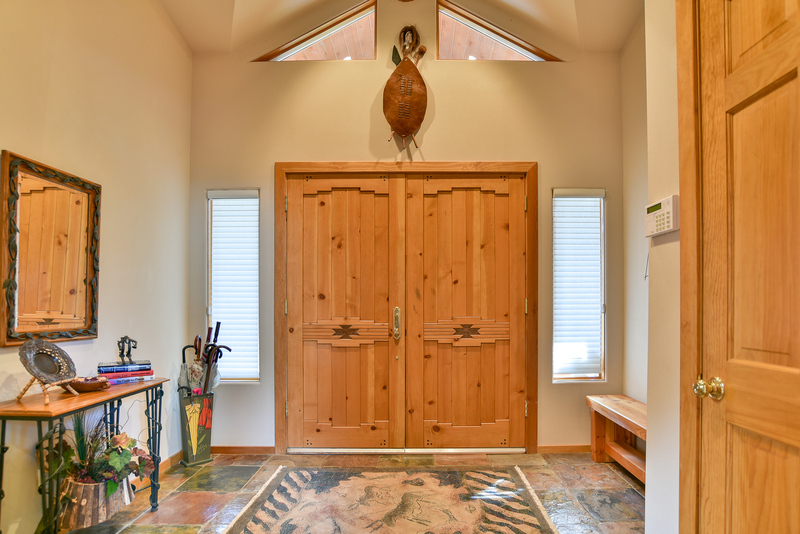 During the summer months, open the massive French doors to allow the cool mountain air and soothing sound of Ten Mile Creek to circulate throughout the home. The huge deck is a great hangout spot while the grill master of the group whips up a full barbeque on the grill. 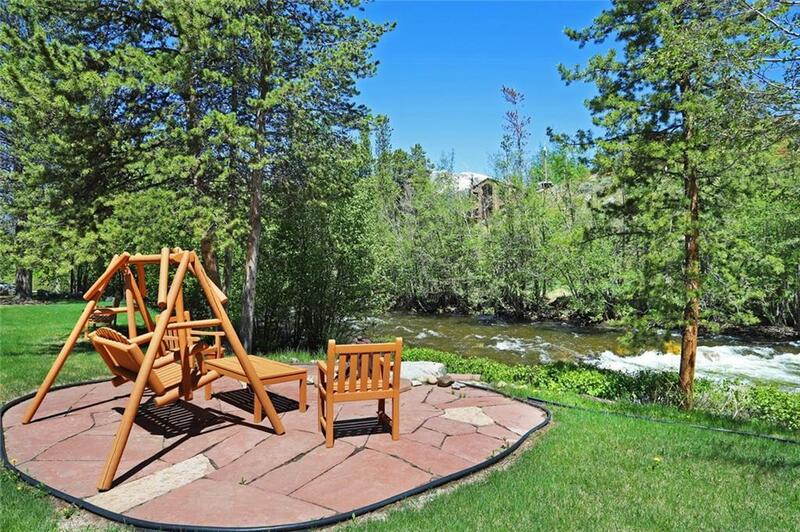 Or, enjoy the creek from the beautiful porch swing and Adirondack chairs right next to the creek. 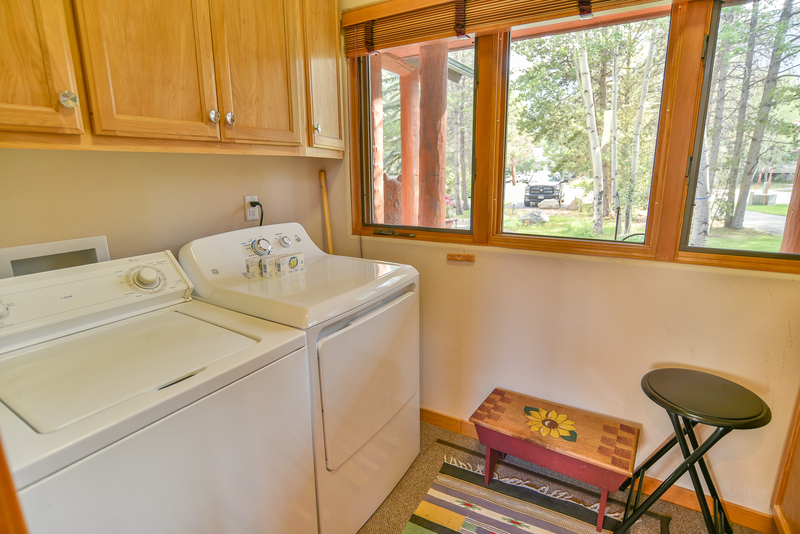 You can even walk out the front door and hop on the Frisco River Trail for easy access to nearby parks and great fishing. 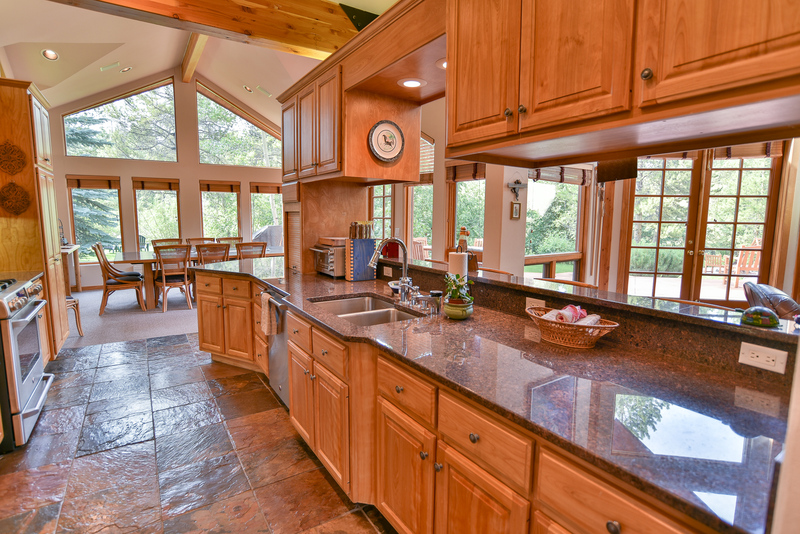 The kitchen features high-end, stainless-steel appliances and everything you need to create a world class meal for the entire family. 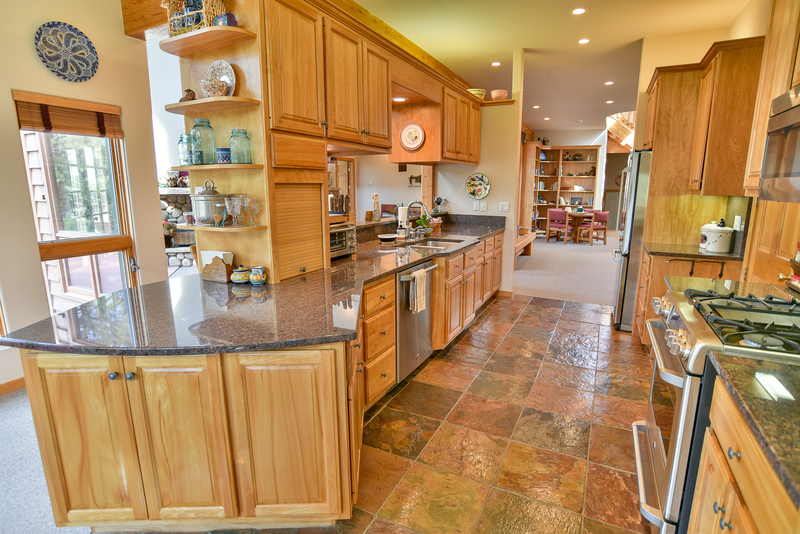 There’s ample for more than one cook, and plenty of space for everyone to congregate while the meal is being prepared. 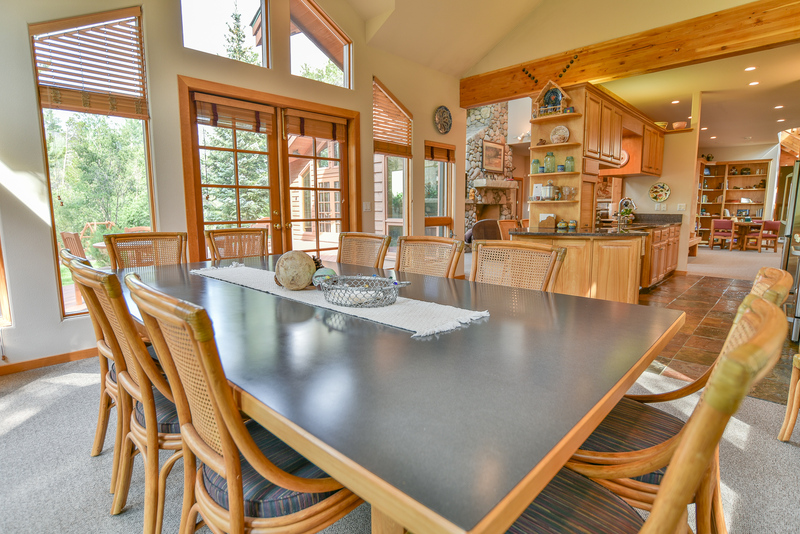 When you’re finished cooking, the large dinning room table has room for 10 with additional seating for four at the breakfast bar. 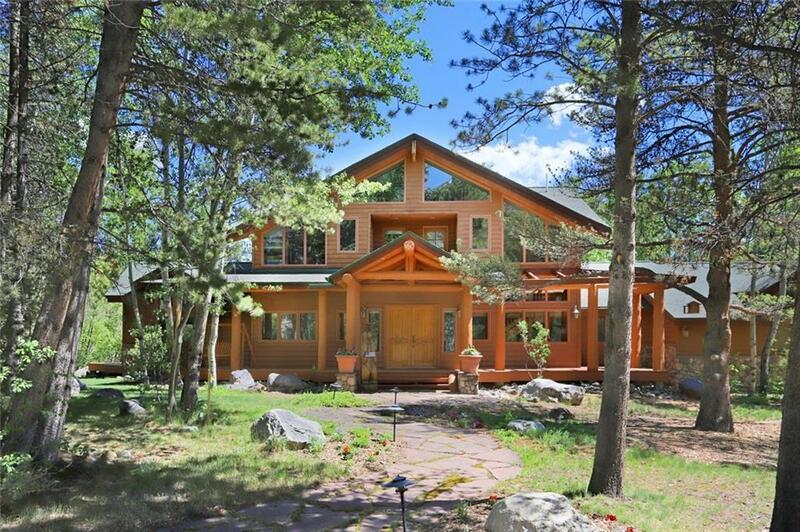 Other amenities at this spectacular property include private bathrooms and fireplaces in each bedroom, a two-car heated garage, a full laundry area with washer and dryer, and complimentary Wi-Fi throughout the home. 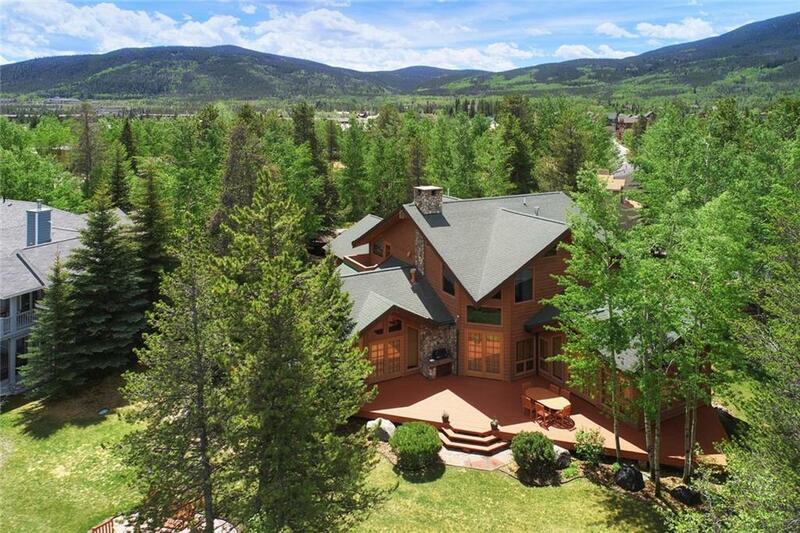 If you’re looking to stay at one of the most impressive private residences in Frisco with easy access to everything Summit County has to offer, don’t miss this opportunity. Call us today to learn more or book your stay today! 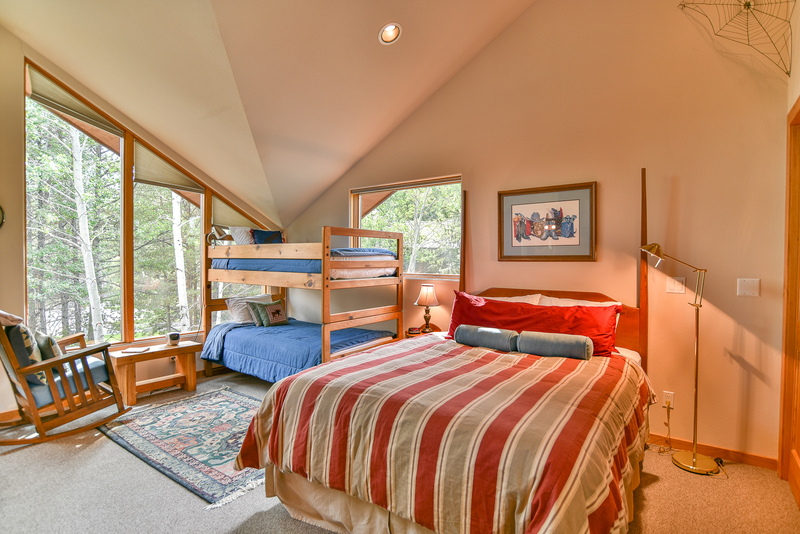 Queen suite: great bedroom with a queen bed as well as a bunk bed, attached private bathroom with shower/tub, gas fireplace, private balcony with excellent views of Ten Mile Creek and Buffalo Mountain. 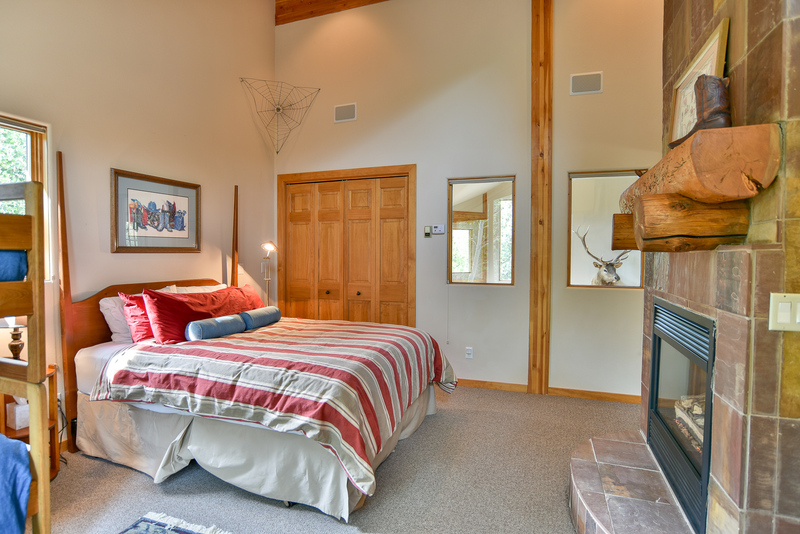 Queen suite: room with queen bed as well a bunk bed, attached private bathroom with walk-in shower, gas fireplace. King master suite: stunning master suite with king bed, attached private bathroom with jetted tub, walk-in tile shower with four shower heads, his/hers sinks, large walk-in closet. 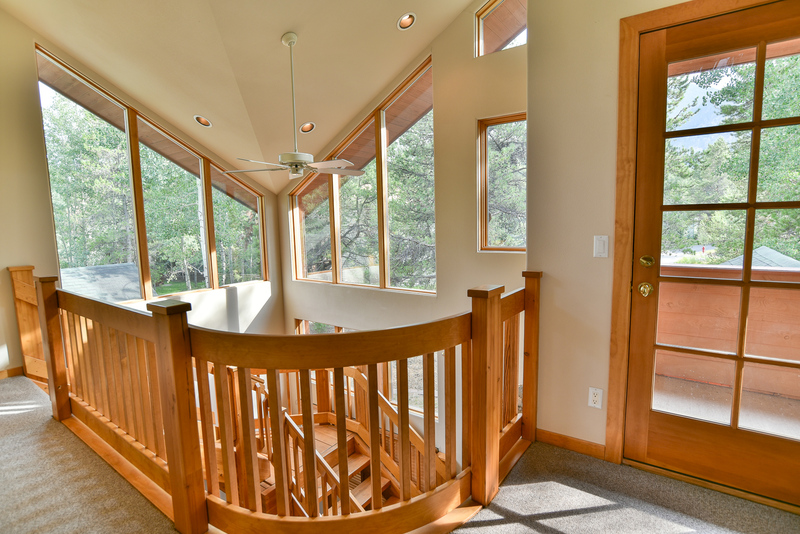 This room also features vaulted ceilings, an LCD TV, large river-rock gas fireplace, and French doors leading to the deck and backyard. 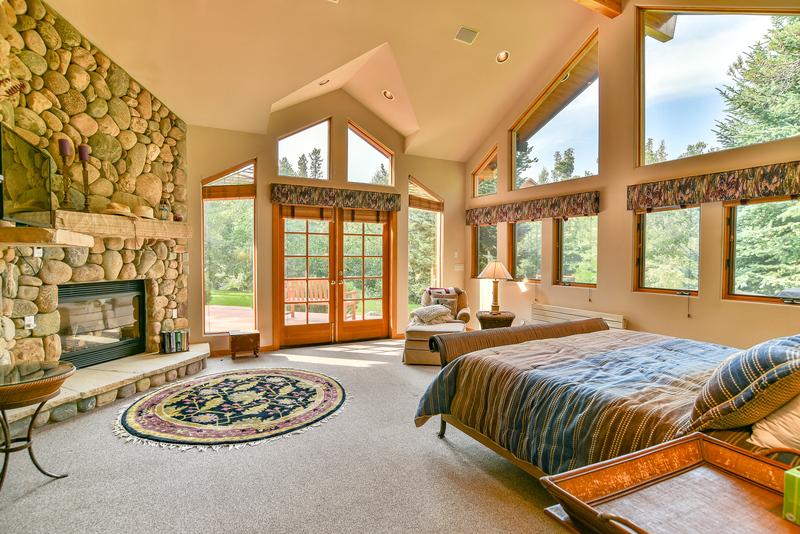 King suite: fantastic main-level room with king bed, attached private bathroom with tub/shower, private balcony, gas fireplace. Parking: 1-car heated garage with 3 outdoor spaces – 4 spaces total.